"Dance" is the most physically and mentally demanding subject within the Performing Arts. Our professional staff, through their knowledge and love for dance, hope to inspire in our students not only dance technique and style but the determination, dedication, and self discipline that is needed to acquire the rewards in the dance education. It is our feeling that when our students have left the studio, whether it is to pursue a career in dance or not, that he or she has developed a stronger character through self confidence, awareness of themselves physically and mentally a greater sense of responsibility, and a better appreciation of the arts. 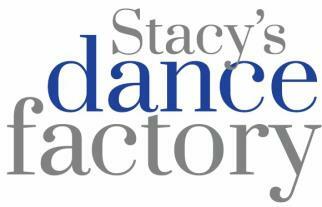 Get the latest NEWS from the Dance Factory by LIKING and FOLLOWING our page (Dance Factory Inc) on FACEBOOK! CLASSES ARE CANCELLED on Tuesday, February 26th due to the snow storm! Please check with WJBC or this website for class status whenever there is bad weather! Summer Classes for All Age Groups! Spring Recital is Saturday, June 8! Please Go to the Recital Page for Information and Schedule!